The world's top trader's reveal the secrets of their phenomenal success! How do the world's most successful traders amass tens, hundreds of millions of dollars a year? Are they masters of an occult knowledge, lucky winners in a random market lottery, natural-born virtuosi—Mozarts of the markets? In search of an answer, bestselling author Jack D. Schwager interviewed dozens of top traders across most financial markets. While their responses differed in the details, all of them could be boiled down to the same essential formula: solid methodology + proper mental attitude = trading success. 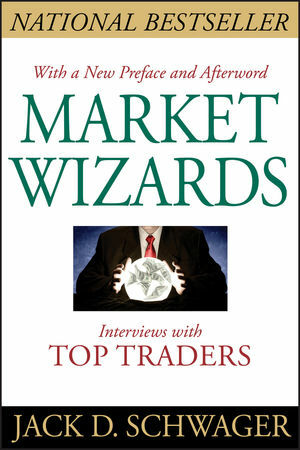 In Market Wizards Schwager lets you hear, in their own words, what those super-traders had to say about their unprecedented successes, and he distils their responses down into a set of guiding principles you can use to become a trading star in your own right. Tells the true stories behind sensational trading coups, including the one about the trader who turned $30,000 into $80 million, the hedge fund manager who's averaged 30% returns every year for the past twenty-one years, and the T-bond futures trader who parlayed $25,000 into $2 billion in a single day! "Market Wizards is one of the most fascinating books ever written about Wall Street. A few of the 'Wizards' are my friends—and Jack Schwager has nailed their modus operandi on the head."